Doors open at 9:00 (coffee & donuts), presentations begin at 10:00, lunch 12:00, presentations continue after lunch. June 20-22 – 6th Annual Vintage Motorsports Festival at Thompson Speedway Motorsports Park, Thompson, CT.
July 26-28 – New Jersey Historics at NJMP Thunderbolt, NJ. Formula Ford Feature Race, VeeRG Challenge Series. September 6-8 – VRG at PittRace. 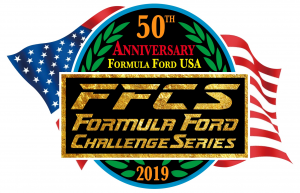 Formula Ford Feature Race, VeeRG Challenge Series Finale. October 11-13 – VRG at The Glen, NY. Formula Ford Feature Race. November 22-24 – 23rd Annual Turkey Bowl at Summit Point, WV. Vintage Racer Group shared a post. Getting ready for the 2019 racing season with VRG? Don't forget to check out the VRG regalia page for stickers, patches, clothing, etc. Vintage Racer Group Regalia - shirts, helmet stickers, trailer stickers - adds 5HP! Send Someone To School...The VRG Drivers School! You Know They Want To Go! We all know friends who share a lot of the same passion we have in our sport. Well, you can help them have the same fun you're having by getting them to take the VRG Drivers School which takes place before the Jefferson 500. The school has room for both Level 1 and Level 2 students depending on the students background and those students who pass the School can join in the fun and race at the J500 too! Chief Instructor Denny Austin had this to say about the school when asked by Victory Lane. The Vintage Racer Group will again be conducting its highly regarded VRG Driving School on May 15th and 16th as part of the annual Jefferson 500 vintage racing festival at West Virginia's Summit Point Raceway. Both students with little or no racing experience (Level 1) as well as more advanced students, including those who took our school in 2018 (Level 2) are welcome and encouraged to attend. Level 1 students have little or no racing experience. Our objective is to get them comfortable with driving their vintage race cars on the track and make sure they do so safely in the presence of other, faster cars. Throughout the school, emphasis is placed on understanding and adhering to safety rules and situational awareness, understanding what is going on all around you, in order to make good, safe decisions. Successful level 1 graduates are awarded a VRG provisional competition license and can race in the Jefferson 500. The objectives for our level 2 students are to reinforce all the technical and safety practices taught in level 1 and also give them an opportunity to work on the more advanced vintage racing skills needed to move up further in the pack. As always, adherence to safety rules and high levels of situational awareness are emphasized. Successful level 2 participants should find themselves well equipped to compete in the Jefferson 500 and have a good time dicing with their fellow vintage racers. The VRG School combines on-line pre-work, classroom lecture, on-track exercises and individual coaching to fully prepare students at all levels for safe and fun wheel to wheel vintage racing. As a member of the Vintage Motorsports Council, VRG competition licenses are widely accepted by other clubs. And those on-track exercises are everybody's favorite! A series of braking/handling exercises allows students to safely build experience with threshold braking, heel-toe downshifting and how to balance brakes, throttle and steering to optimize speed through corners. Students will once again learn the subtleties of oversteer/understeer balance at the limits of adhesion in a series of skid pad exercises led by our partners at Bill Scott Racing. On the main track, students move from simple exercises designed to learn their way around the track including locating flag stations and the basic racing line to safe high-speed wheel-to-wheel driving, passing and racing starts. Our expectation is throughout the exercises, students demonstrate safe, predictable behavior and are comfortable with high speed, wheel-to-wheel vintage racing. Wednesday's classroom sessions focus on situational awareness and how drivers need to respond. Instructors will be showing video clips of actual on-track situations and facilitating discussion about what is happening in the clip and what the appropriate driver responses should be. In the classroom on Thursday we will be focusing on race starts, again with video clips and discussions about how to grid, drive pace laps and the starts themselves. Starts are the most exciting part of any race and, for newcomers, they can be the most intimidating part as well! Our objective is to prepare the students to safely and successfully participate in race starts at the Jefferson 500 and in the future. Have you registered for the Jefferson 500 yet? April 15th the price goes up by $50. Save money on your VRG Jefferson 500 Registration and beat tax day!